Saturday March 23, 2019: 7:30-10:30 pm Elizabeth joins the band for the SDCEA Benefit Dance, put on by the Royal Scottish Country Dance Society Boston Branch. Sunday March 31, 2019: 10:15-1:30 Passim Brunch Concert. Great food! Great music at no extra charge! Did we mention great food? Brunch is served 10:00-2:00. May 10-12, 2019 RSCDS Boston Ball Weekend. Elizabeth is the band leader for the welcome dance on Friday night, and Elizabeth is the band leader and Ben is the band for the brunch dance on Sunday! ​Friday May, 2019 (Date TBD) Elizabeth leads the Young Fiddlers' Workshop for the Boston Scottish Fiddle Club. Saturday June 8, 2019: 7:30 pm Swift Run House Concert Series, Fairfax Station, VA. For reservations & directions call Barbara Ryan (703) 426-1450 or email ionavoice@pobox.com. Monday June 24, 2019: Elizabeth plays for the Cambridge Scottish Country Dance Class end-of-the-year ice cream social. Cambridge Class is part of the RSCDS Boston Branch. June 24-28 2019: Chauncy Fiddle Camp! Westborough, MA. 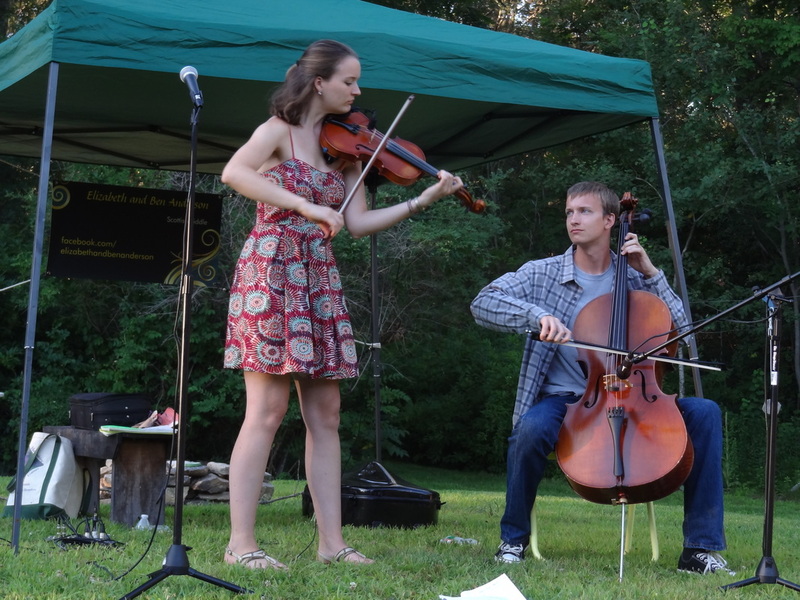 Elizabeth and Ben's camp is open to string instrument players entering grades 4-9. July 5-13 2019: Elizabeth is a staff musician for both Scottish Sessions at Pinewoods Camp! ​Tuesday July 30, 2019: 6:30-7:30 pm, free concert at Lane Memorial Library, Hampton, NH. Saturday August 17, 2019: 8 am-5 pm Maine Highland Games, Three shows, times TBD. Thursday-Sunday November 7-10, 2019: Fiddle Hell! Elizabeth and Ben will be running workshops, times TBD.